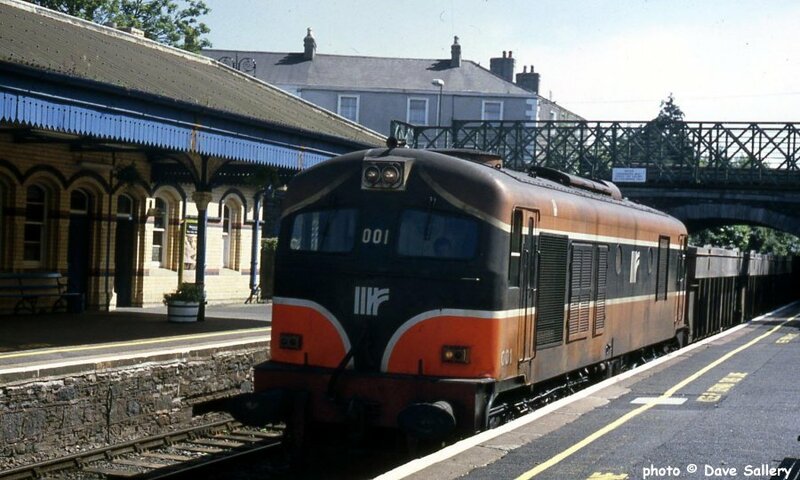 001 on a Tara mines train at Malahide, 6 July 1994. 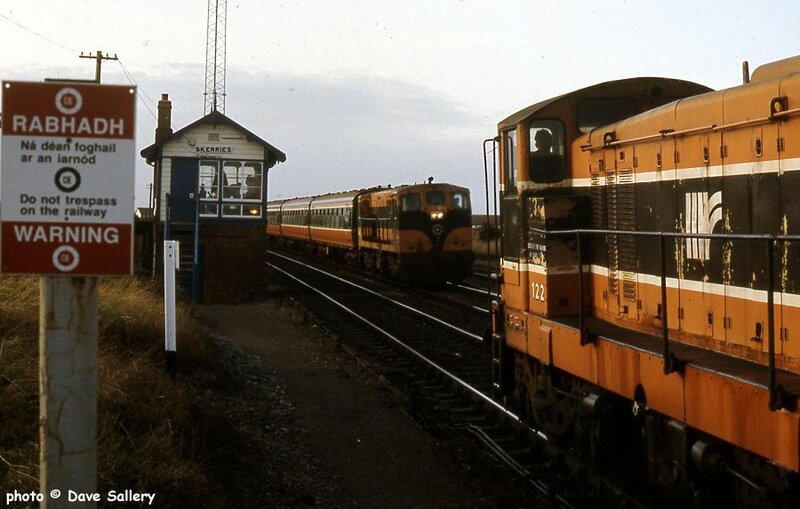 The Tara zinc and lead mines are at Navan and are served by a branch line from Drogheda. Heavy freight trains continue to run between Navan and Dublin docks. Malahide is now the northern terminus of the DART electric network. 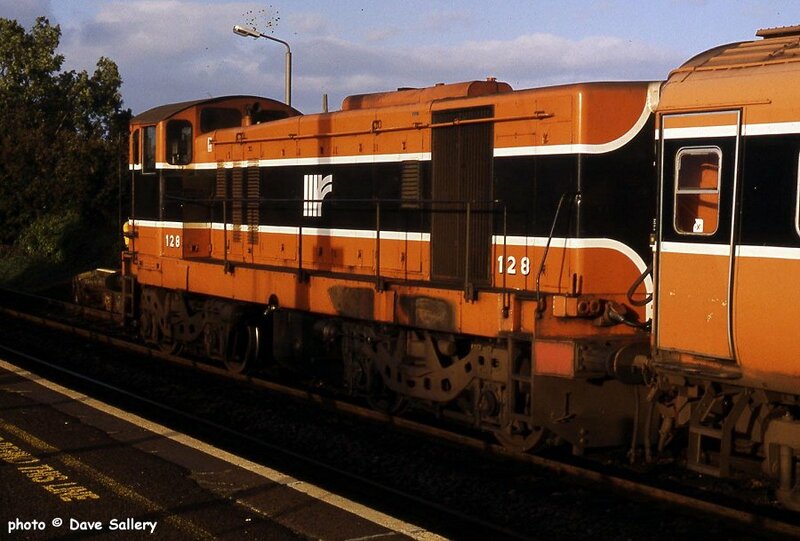 128 on the rear of a push pull set at Donabate, 1 October 1991. 128 enters Rush & Lusk station, 6 July 1994. These small locos really struggled on 6 Mark 3's. 122 heading north meets 168 at Skerries, 1 October 1991. 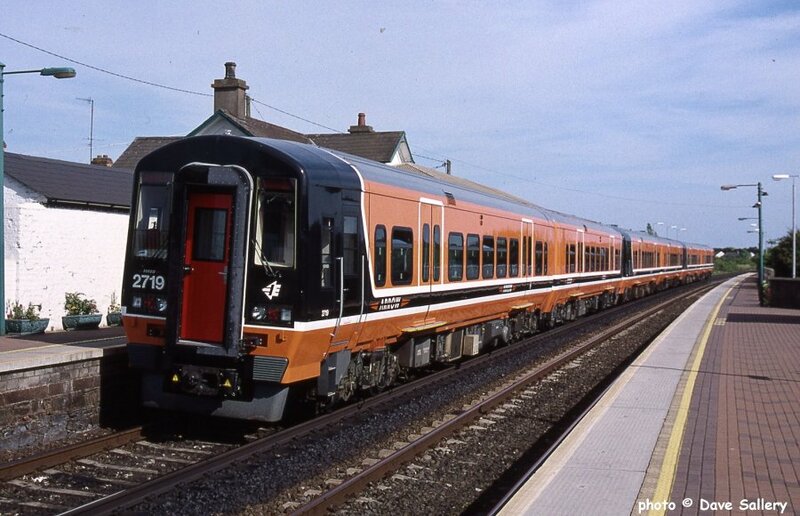 217 on a northbound suburban working at Skerries, 17 June 1999. This train ran wrong line to allow it to be overtaken by an Enterprise service to Belfast. 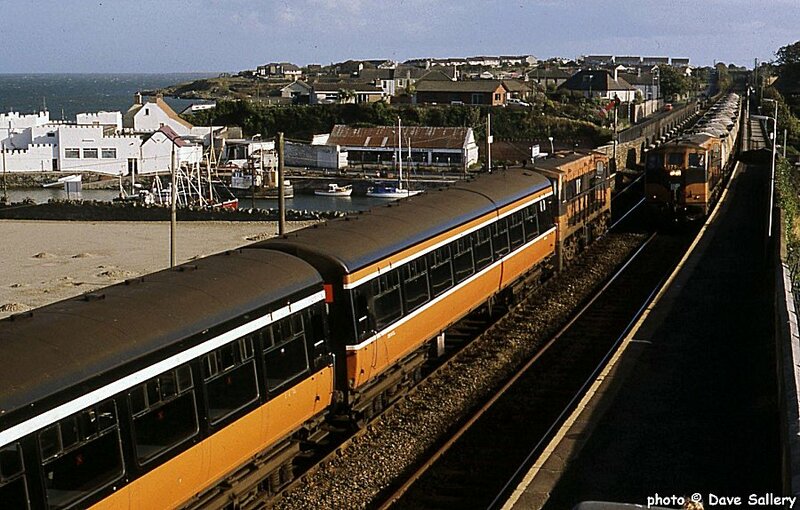 A six car set of 2700 series railcars at Skerries, 17 June 1999. Twelve 2 car and 2 single car units were built by GEC Alsthom in 1997/98. The units have now lost their end corridor connections. Surprisingly, the entire class were withdrawn and put into store in 2012. More information here. 174 on a train of Cravens vehicles meets 175 on a northbound freight. 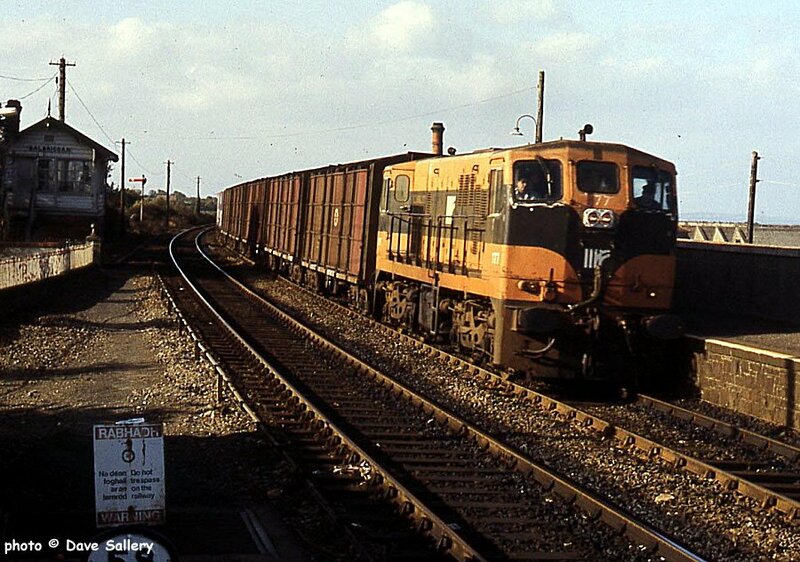 Balbriggan 1 October 1991. 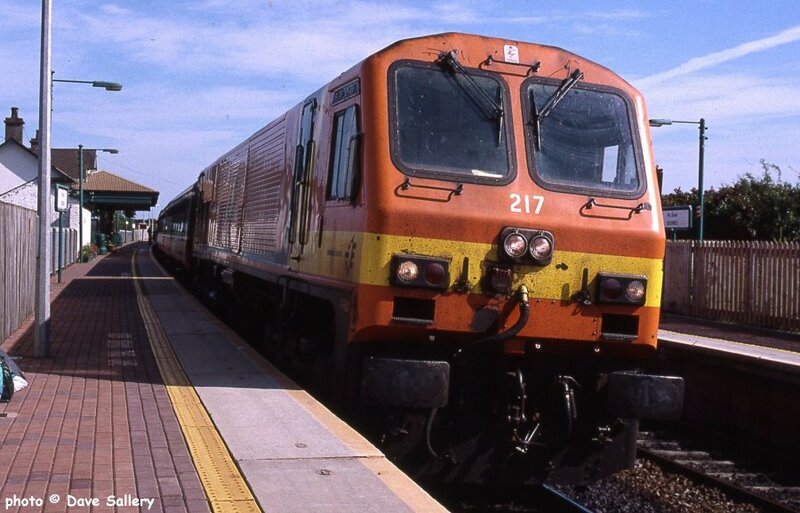 177 on a freight at Balbriggan, 1 October 1991.